The Department of Resources Recycling and Recovery (CalRecycle) says that "Each day, Californians throw away three and a half pounds of garbage per person." The US Census Bureau estimates there are more than 36 million people in California producing 36 tons of garbage every day. California also establishes convenience zones in high traffic retail areas. State laws require there to be a recycling center in the area or requires retailers to accept recyclable goods. This could make recycling potentially one of the most lucrative enterprises in the state. Educate yourself on California's recycling laws. You can learn more at CalRecycle Website and the California Natural Resources Agency website. Choose a recycling program. Familiarize yourself with the laws of "convenience zones" and locate them on a map. The convenience zones are the areas in which a large grocer or high traffic shopping center that potentially produce a high volume of recyclable goods. These areas are required by law to have recycling centers or means for residents to recycle items. Understand your competitors. Check the convenience zones first to learn of competitors operating in those areas. Mark the locations that don't have any recycling centers. Also look at the under-served areas to determine if starting your recycling center in those areas could be beneficial. CalRecycle reports that there are more than 2400 recycling centers in the state. That's fierce competition and you would need to find locations that aren't saturated. Decide what to recycle. 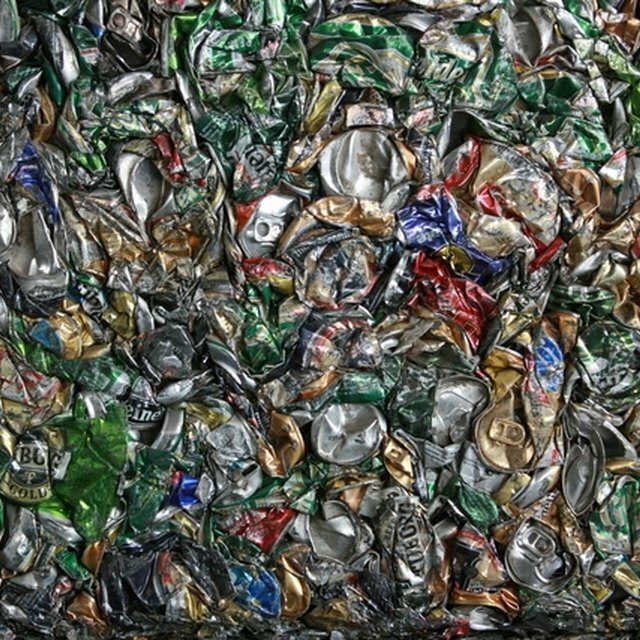 Paper, cardboard, tires, scrap metal, electronics, glass, plastics, and bottles are all recyclable items. Find a niche in the market and make those items your primary recyclable good. If paper and carboard are served by 6 other recycling centers in the area, focus on electronics instead. Find processors in the area that can give you an idea of what they could use more of. Processors are the facilities that convert recylable goods back into useful goods. Write a busines plan. In your business plan explain what you plan to do with the recyclable you collect. You can convert the materials into usuable parts for manufacturers to by from you. Determine your profitability and set goals and projections for the next five years. Outline the methods you plan to use to achieve those goals through marketing, staff management and item collection..
Get the required licenses and permits. You may need a conditional use permit for the location you're planning to use as your recycling center, a business license as required by the state, and land use permits. Depending on how you set up the company when you apply for your business license, you may also need a fictitious business name statement, articles of incorporation, articles of organization, and federal employer identification number. If you build the facility from the ground up you will need land use permits and local construction ordinances. To get more customers to return recyclables to you instead of their competitors you can pay for receipt of recyclables and be reimbursed by the processor. To take advantage of this features, you will need to be certified with CalRecycle "One of the major benefits of becoming certified is that you are eligible to pay CRV for redeemed beverage containers. The CRV provides an incentive for consumers and others to return their beverage containers to your center." Pay fees and taxes. You will be required to pay local permitting fees for your center, determined by the county your facility will operate in. You will also have to pay a business license fee. Some countries require recycling centers to pay weights and measures fees depending on the amount of recyclables they process. Get equipment. Equipment you will need will to determined by what you decide to recycle. The basic equipment needed for most recycling centers are containers, crushers, balers, shredders, and weighing equipment. Find reliable and sturdy vehicles to transport the recyclable from location to location or from your recycling center to the certified processors. Find the prime location. Search for locations that are convenient to customers and highly visible to motorists as they drive home to and from work. If at all possible, find under-served convenience zones. Choose locations based on convenience for your customer based, the least amount of competition, and the space your require to store your recyclables. Hire employees. Select skilled labor with heavy machinery experience in case you decide to purchase big trucks or add mechanical sorting equipment at your location. Review the certification requirements with CalRecycle to determine if the workers in your area are required to be certified before they can work for you.